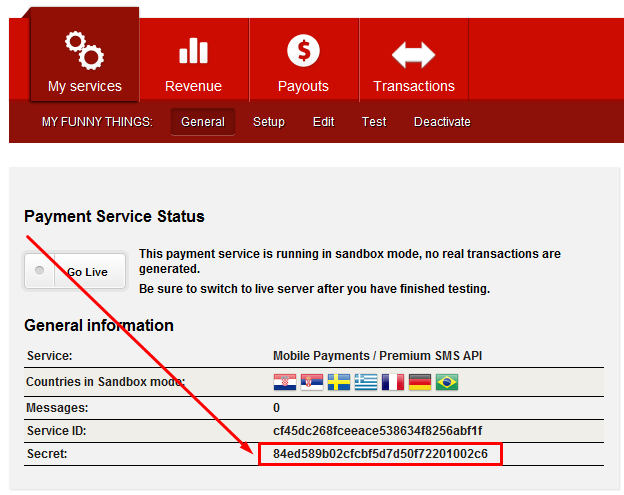 On the new page, paste address in the input field marked on the picture below, and click “Save” (delete the old address if there is any). 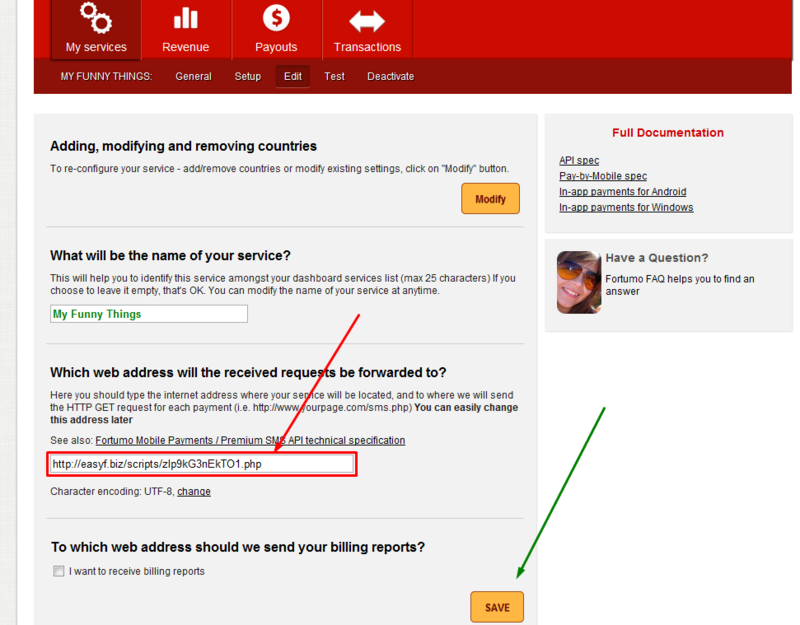 Notice what appeared below the form. 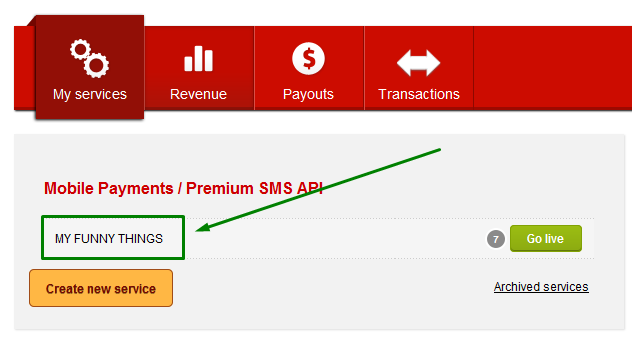 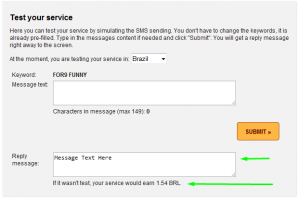 If there is message you configured in EasyF, you have successfully connected EasyF and Fortumo, and your Fortumo Premium SMS service is ready! 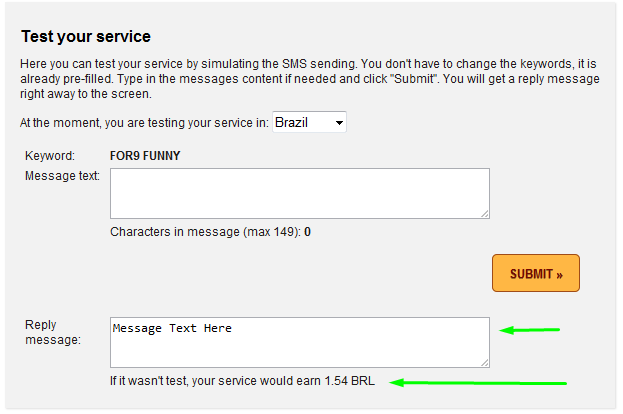 If there is some problems in configuration, you will see message similar to one on the picture below. 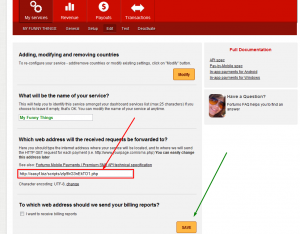 You need to check everythign described in this guide, find where the problem is, and test the service again. 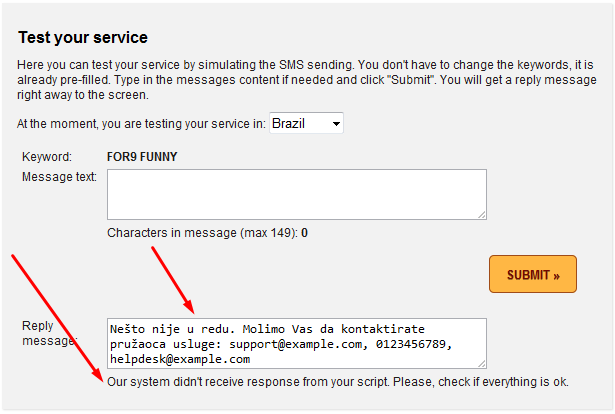 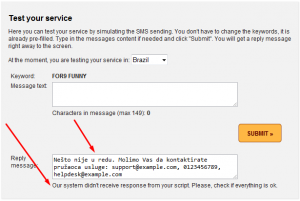 Another important guide: Activating Fortumo service.